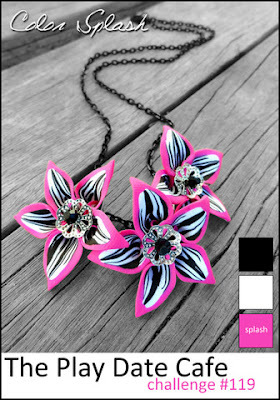 The Play Date Cafe Challenge #119 - Black and White with a splash of hot pink. Tuesday Trigger -- what a fun photo!! I loved the black and white contrast, so that is where the background comes from. I tried my hardest to add the orange, it just wasn't happening. 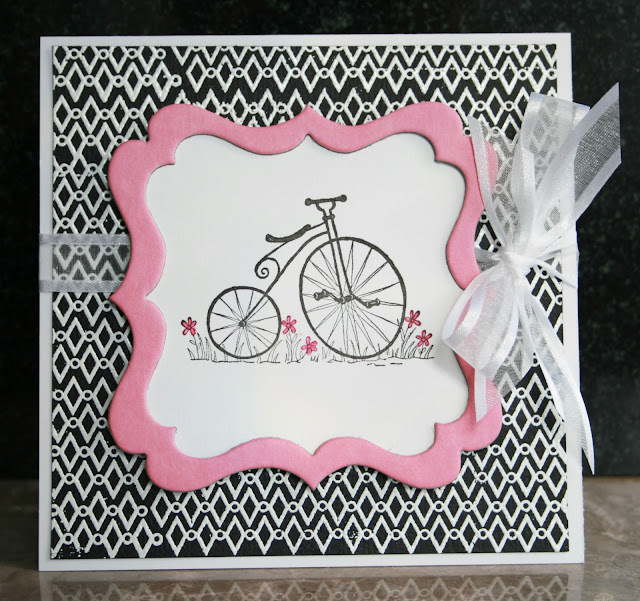 I did use the frame design in the headboard for the pink frame on my card. I used PTI Background Basics: Retro with Versamark and White embossing powder. I've used white embossing powder more this month than I have in years. I love the look all of a sudden. All of the DeNami Sheer ribbon is 40% off --- in case you need some. The bike stamp is from Great Impressions, every time I use it I think of my fabulous times teaching at Papertrix in Indiana.... that is where this sweet stamp is from. I think this is my 4th post for today.... yikes!! My kids are off for the next 4 days so I really took advantage of my afternoon off and had a blast stamping away. I am loving all of your pretty creations--I wondered if the holiday weekend was the reason for all of your craftiness!! My kids have all of next week off for their February Vacation. I think we are going to be on the go! 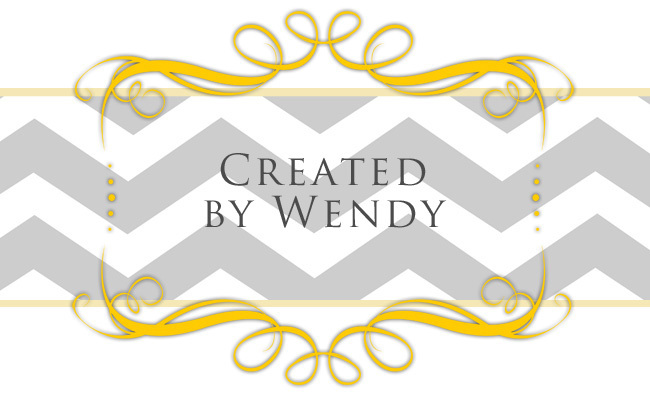 Beautiful job, Wendy! I love the background white embossed! I love the design of this card, the colors are perfect. It's all very crisp and wonderful! Thanks for sharing and for the info on where to get that cute stamp. That's great that your kids let you have time to stamp when they are home! I never can stamp with my son awake and wanting to be entertained, so it makes for late nights or no stamping! Gorgeous to have the background that matches perfectly! Love the pink frame! Wonderful take on this weeks color challenge. Thanks for playing along with us at The Play Date Cafe! Super cute, Wendy! LOVE your splashes of color in the flowers! Thanks so much for playing along with us this week at The Play Date Cafe! Lovely card Wendy, great use of the colors!! aww I totally love this...Love the pink frame around the image...so awesome..